089.Roderick Coover – JavaMuseum 2010 – Celebrate! Roderick Coover makes panoramic interactive environments, collaborative streaming visual poems, and multimedia documentary projects. 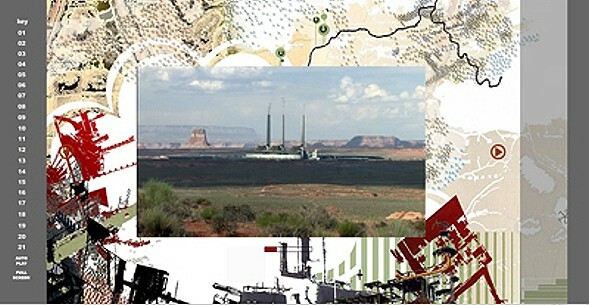 Canyonlands is an interactive media arts project — a vast scrolling cinemascape — about writer Edward Abbey and environmental battles over the nature and use of the Western deserts of the USA. Users navigate a landscape containing over 100 minutes of original video, archival films, maps, photos, and panoramas.